I simply and thoroughly enjoyed every page of this book. It is very comprehensive and well written. 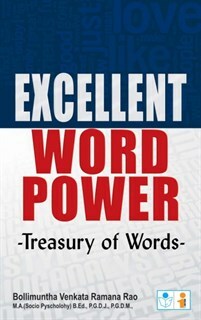 If word power is what you are looking for, then I can recommend you to buy this book. It is detailed and the examples given are easy to understand and also simple. Overall a book that has been properly compiled. This book according to my opinion is the very best from an Indian author. He has tried to write this book for the Indian readers. This book did have a good approach and the author`s intentions to help readers with this book is very clear. His efforts are well appreciated.